A central component in life that many people ignore, is the importance of facing the negative. There is negative, falsity, wrong, immorality and evil in our world. If not perceivable directly in our immediate personal lives, there are negative manifestations in our society and the world. Seeing reality with rosy-colored glasses and a positivity mask is to live in denial of reality as a falser, unrealer and inauthentic self. If everything was positive, then we could be truly content where we were and optionally progress towards more positive. But that’s now our current reality. 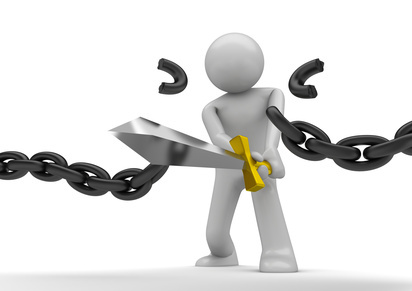 The negative and falsity holds the key to change our reality towards a more positive and truthful outcome. The negative, wrong, falsity and immorality is so powerful in our lives. One drop of poisoncan lead to corruption of a biological life. If it persists, drop after drop, it will lead to sickness and death. Individuals and society are corrupted away from optimal potential ways of living because of the persistence of false wrong-actions that harm others. The negative and falsity weighs us all down in the end because we are all in this together. No man/woman is an island. The negatives, falsity and wrongs that persist prevent us from actualizing the fullest potential of a positive, true, right, moral and good life and way of living for us all. The illusion of “good”, a false mask that blinds us to reality, through ignorance of evil, keeps us or permits others into perpetuating evil. The ignorance of falsity keep us chained and bound in falsity. Only the sword of truth can shatter, break and destroy the chains of falsity that bind us to a falser, unrealer, lower inauthentic way of living. We must understand the difference between right vs. wrong, true vs. false, and the difference of moral vs. immoral, good vs. evil, in our actions and behaviors. To demonstrate the power of the negative in life, we can look at what is called a Truth Table, or Conjunction of Propositions. This demonstrates that if any of our premises are false, our conclusion will automatically be false as a result. This also applies in real life, because this is how True Unity works. 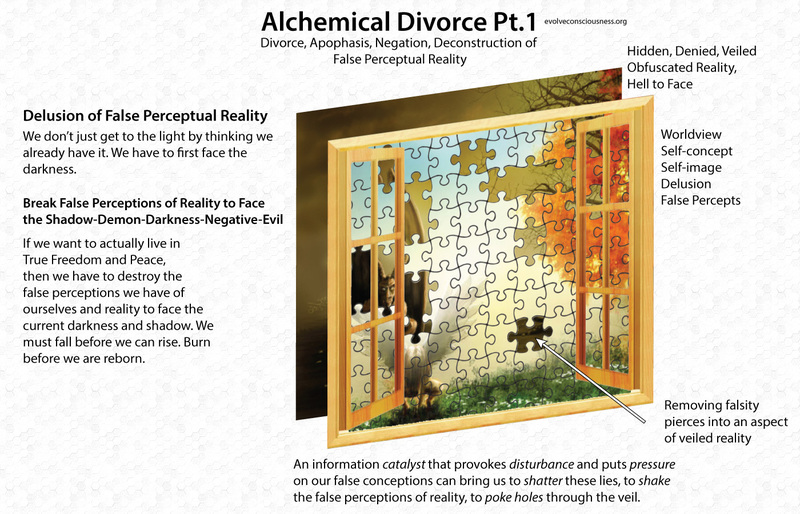 A proposed aspect of reality, a piece of knowledge, can be true (1), false (0) or probable (.n), whether a fact or a possibility. 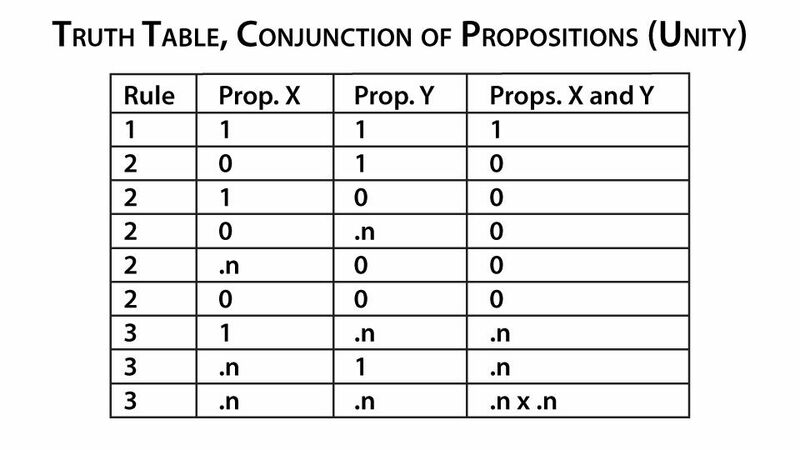 Conjunctions, or unity, of propositions/premises form true conclusions if all premises are true (Rule 1). The unity of a propositions forming a conclusion is false and negated if any one of the premises is false (Rule 2). Probable conclusions are also negated and false if any premise is false, otherwise their probabilities compound (Rule 3). The only time you get a true result is if all constituent parts are true. This is the power of falsity and the negative. You could have 99 true premises, and if you have 1 false premise it will create a false conclusion. Falsity taken into a conclusion will corrupt that conclusion. A way of life is only truly right, good and true if it does not have any wrong, evil and falsity being created. Any way of life that engages in creating falsity, wrong, negative, immoral or evil, means that the way of life is contradicting living in truth, right, positive, moral or good. Guess what? Our overall way of life is not a good, moral, right and true way of life. It needs to be changed. We are all in this together. We have a lot of work to do as a society, yet people want to deny this personal responsibility we have to help ourselves and others change for the better. Many people view this as “intrusive”, “meddlesome”, creating “hassles” in their lives. They just want the “easy” ignorant path to “get along”, not “rock the boat”, “enjoy” themselves, “have fun”, and so they avoid the inherent friction, tension and conflict of truth that divides itself from falsity and can never unite together. Attempts to unite in ignorance is false “unity”. If there is poison in the water, only by not taking in the poison (removing the negative) can our bodies repair and heal itself. Only by facing the negatives, wrongs, falsity, immorality and evils in life, can we remove them, and truly heal our way of life. When we take away the negative modalities of life, what remains is neutral, or even good. That is why destroying, shattering, negating and stopping to do a negative creative act of active harm, a wrong-action or evil-action, is MUCH MORE IMPORTANT than creating, starting and affirming a positive creative act of active benefit, a right-action or good-action. If you stop all the wrong-actions, then all that is left are neutral-actions, and right-actions. This is also known as wei wu wei, action through non-action. We create positive outcomes in the realm of neutrality by no longer acting in negative, false and wrong ways of living. We simply don’t act to create negative -1 actions, and that is itself a positive act of balancing back to the neutral 0. Then we can progress to positive +1 actions.If we ignore the -1, leave it, and then we try to create +1, it ends up back at 0 with a wasted effort in the sum total. We try to go forward 1, 2 or 3 steps, then we get held back a step because we never deal with the -1 that remains. It’s more effective to deal with the -1 and properly move forward in a way that actually lasts. Ignorance and denial is not our friend, but our enemy. We are our own worst enemies at times. We fool ourselves. 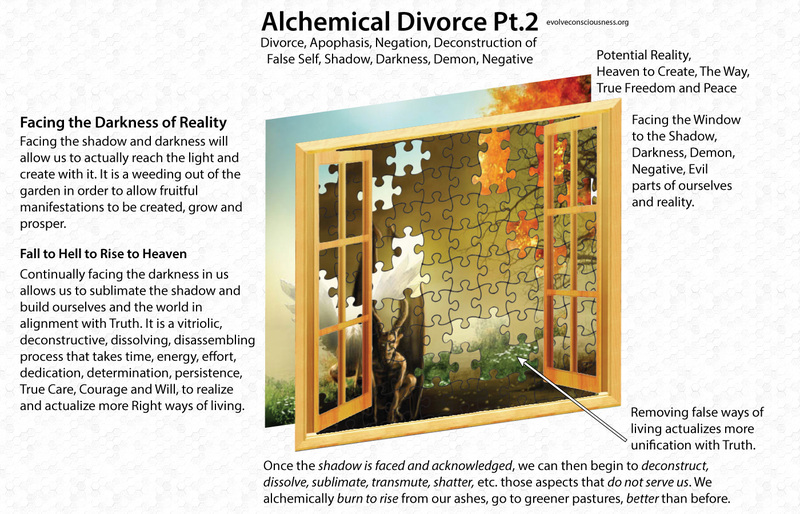 This is the apophatic divorcing and negation of falsity in our lives. 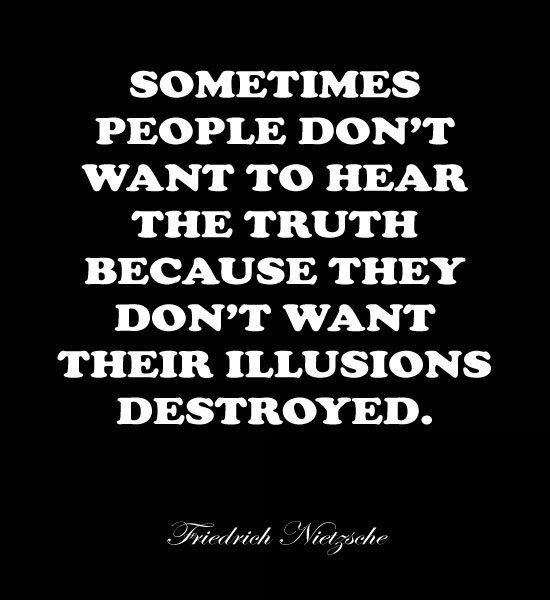 It applies to our actions, and to our false perception of reality. First, deconstruct and destroy the positive mask, illusion of “good” and rosy-colored glasses of false perception of reality. Second, face the the negative, falsity, wrong, shadow, demon, darkness and evil in the world and ourselves. Then divorce ourselves from creating it, negate and deconstruct it, in order to create a better, truer, realer, more authentic and good way of life. Seek to know and understand the falsity, negative and evil in our lives and in the world. It’s the only way to overcome it, by understanding it at the root causal foundation and then be in an empowered position to do something about it. Fear, ignorance, avoidance, denial, dismissal and deflection of the negative, wrong, immorality, evil, darkness, demon and shadow we or others create into the world, is the path to perpetuating evil by our own hands. If we don’t stop drinking the poison water, then no matter what else we do, we will still be poisoning ourselves and no lasting health or goodness will come about. If we don’t fix the bleeding artery in the body, then no matter how many bandages we apply (positivity mask, illusions of “good”, rosy-colored glasses), no amount of creating good, will give us the lasting life we want. Stopping to create evil is the most effective good we can do. The water that feeds our tree of life, needs to be purified. If we leave the toxic poison, it will poison the fruits of our labor. 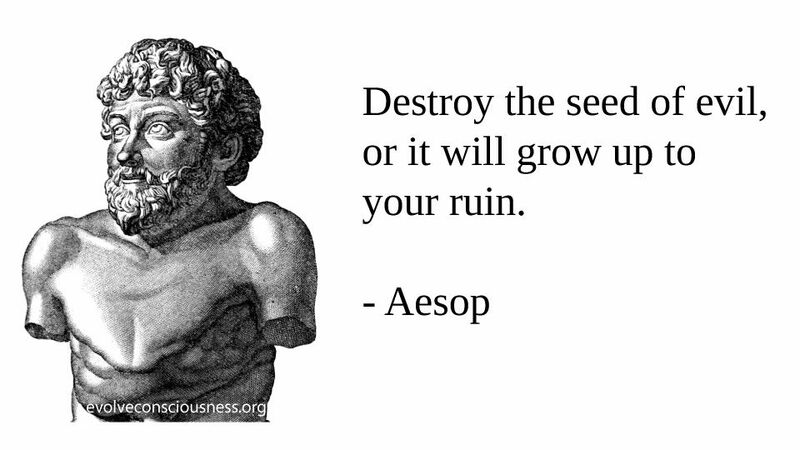 If we leave seeds of falsity planted in life, it grows to fruits of corrupted, rotten falsity in our actions and behaviors. 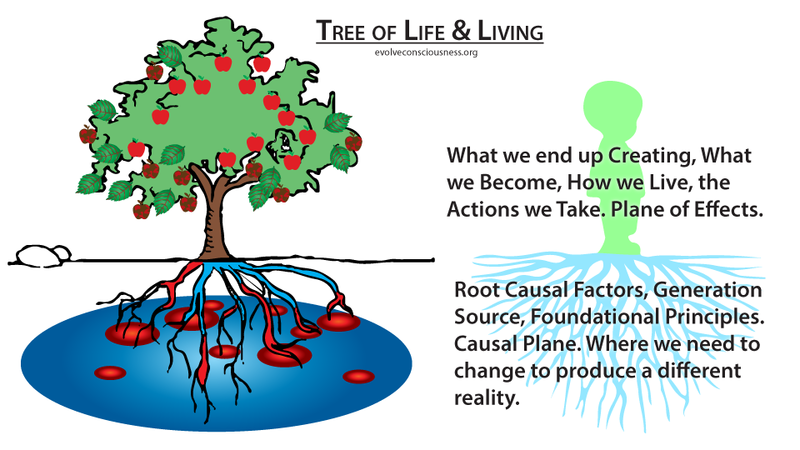 We need to target the root causal factors, not the symptoms. This is how we effectively change things for the better. Ignoring, denying and dismissing the negative, falsity, wrong, immorality and evil in the world will get us nowhere except running around in circles. If we want real, effective, lasting change for the better, of freedom, prosperity, peace and anarchy in life, it will not be achieved if falsity persists in our lives. Develop the personal responsibility to know right from wrong, truth from falsity. Have the care and courage to face ourselves and reality in honesty and truth, or be an apathetic coward in fear of facing hard uncomfortable truths.